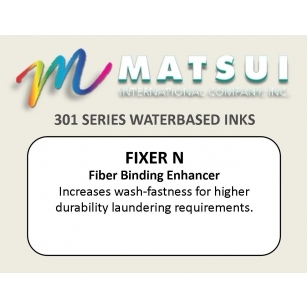 This additive can be added at 2-3% into a waterbased ink to increase the cross-linking ability of the ink layer to bind garment fibers and increase wash-fastness. 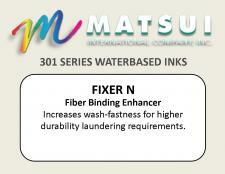 Matsui Fixer N 5.0 Fix it! 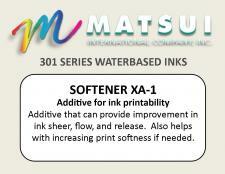 08/19/2016 By Triple Stamp Press Matsui Fixer is a must for printing with Matsui Water-Based and Discharge inks for increasing wash-fastness. Be mindful that it also limits the pot-life of the ink.